The shoulder patch of the 101st Airborne Division, nicknamed “Screaming Eagle”. The 101st American Airborne Division officially opened on August 16, 1942 and made its debut at the base of Camp Claiborne, in the State of Louisiana. His first Major was Major General William C. Lee. The 101st is initially formed of the 502nd Parachute Infantry Regiment (PIR), the 327th and 401st Glider Infantry Regiments (GIR), the 377th Parachute Field Artillery Battalion (377th PFAB), the 321st and 907th Glider Field Artillery battalions (GFAB). The 326th Airborne Engineer Battalion reinforces the unit, as well as the 101st Signal Company, the 326th Medical Company and the 426th Quartermaster Company. In October 1942, the 101st Airborne Division was transferred to Fort Benning, Georgia, where sophisticated equipment was installed for intensive training. These training sessions were very difficult. Not only did the soldiers learn the combat techniques of the classical infantry, they also had to know how to jump off an airplane, use a parachute, and accept that they would almost only fight against the enemy. Initially, airborne troops and glidermen trained at different locations. At the beginning of 1943, these two components came together to form one and single unit. In June 1943, the Easy Company (506th PIR) was placed under the command of the 101st Airborne Division. This is when a large-scale military exercise begins, the second of its kind on that date. These maneuvers began in July 1943 and at the end of the exercise, the 101st was considered fit to fight. On September 5, 1943, the division embarked in New York and left the United States to go to England in order to continue its training. In January 1944, the 101st Airborne Division was reinforced by the 502nd Paratroop Infantry Regiment, so that the division’s strength was nearly 6,600. It is also when the 101st lost its first commander: Lee, suffering from heart disease, has to return to the United States. He is replaced by General Maxwell Taylor. In March 1944, British Prime Minister Winston Churchill, three months before the start of Operation Overlord, attended a demonstration of the Airborne Airborne troops’ strength that impressed the guests. Shortly after this performance, General Taylor received his orders for D-Day. In May 1944, the units of the 101st joined the various airfields from which they would take off on the eve of D-Day to Normandy, 5 June 1944. On that same day, the US paratroopers of the 101st Airborne were visited by General Eisenhower, who wished them good luck. The soldiers boarded at 2215 hours in 1,432 C-47 Dakota. 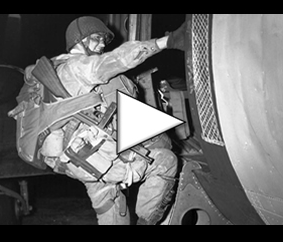 On the night of June 5-6, 1944, the paratroopers of the 101st jump on Normandy. They must seize a variety of objectives, such as bridges, strategic junctions and villages, in order to secure, along with the 82nd Airborne Division, the western allied invasion flank as part of Operation Overlord. Above the Cotentin, the C-47 aircraft are targets of the German Flak and many aircraft break training. The precision of the parachutes is very affected and most of the American soldiers do not land in the right place. Some paras are more than 20 kilometers away from their goal. But these parachute mistakes also disorient German soldiers who hear the enemy everywhere. Terrorised, most elements of the Wehrmacht fall back against opponents often in numerical inferiority. Reports indicate that nearly 1,500 US paratroopers of the 101st Airborne were captured or killed when they landed in Normandy. Despite this situation, the paratroopers have fulfilled many missions. General Taylor gathered a handful of officers and some foot soldiers and attacked the village of Sainte-Marie-du-Mont. 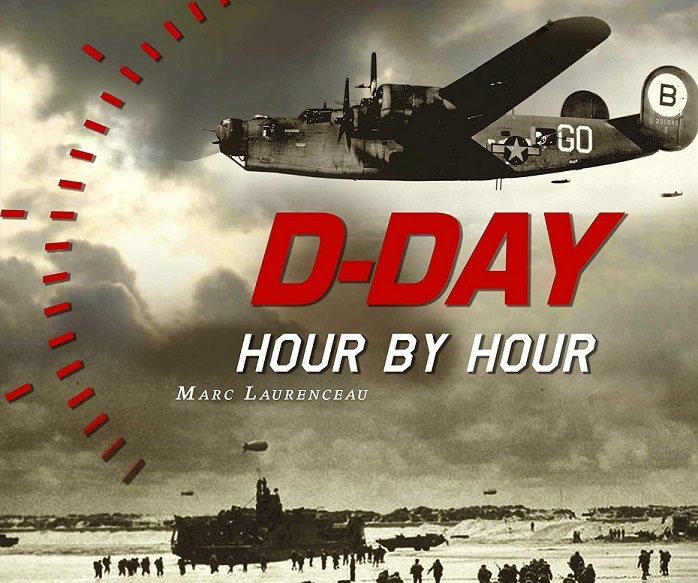 At the end of the morning of Tuesday, June 6, 1944, the airborne troops made the junction with the landed troops coming from Utah Beach and belonging to the 4th Infantry Division. On June 10, 1944, the 101st Airborne Division was to seize the village of Saint-Côme-du-Mont and on June 12 the Carentan crossroads (connecting Utah Beach and Omaha Beach) when the German counter-attacked. After heavy fighting, the two American bridgeheads only form one on 14 June. For nearly three weeks, the 101st Airborne Division remained on the Norman front. At the beginning of July, it was ordered to return to England in order to prepare a new offensive: Operation Market Garden.